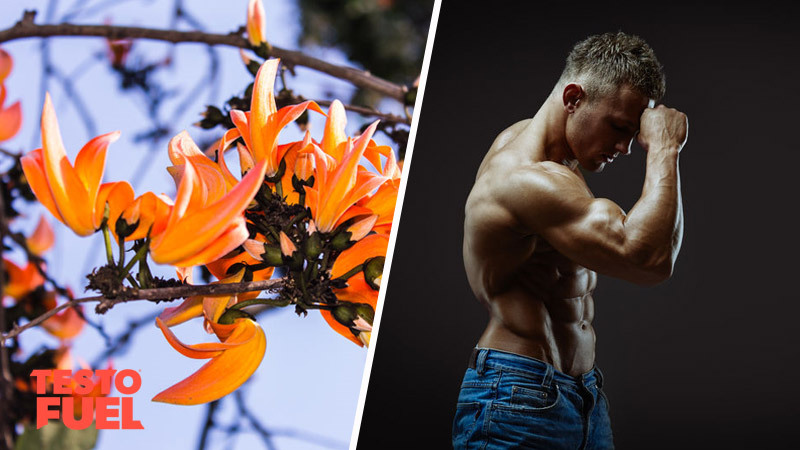 Does Butea Superba Increase Testosterone? After the age of thirty you’ll experience a natural decline in your testosterone levels. This means a loss in virility, muscle mass and athletic performance. You’ll fatigue quicker and find it harder to get through your workout. In the world of T-booster supplements butea superba is only a small player. It’s a herb that has been used in traditional medicine for hundreds of year for sexual performance and libido. But does it increase testosterone? How does it affect testosterone? Otherwise known as Red Kwao Krua, butea superba is a flowering plant that belongs to the pea family. 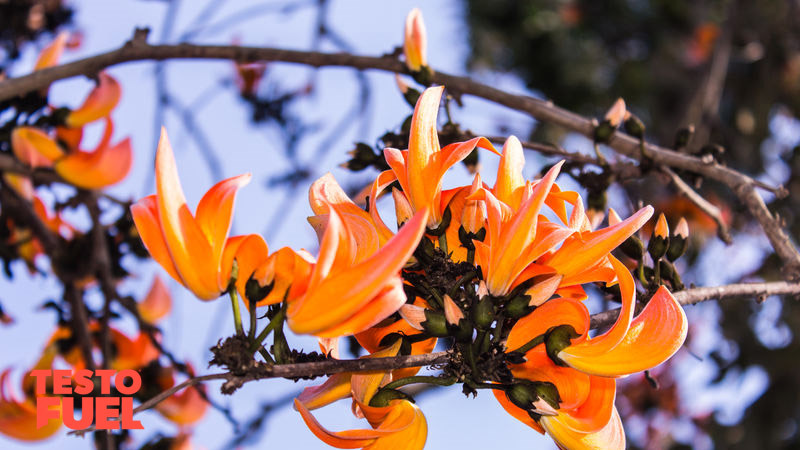 It is a type of crawler that wraps itself around large trees and it’s flowers are a vibrant yellowish orange in color. It is native to Thailand and is thought be an aphrodisiac that increases sexual appetite and vigor in traditional medicine. Found in forests throughout Thailand’s northern and eastern regions, butea extract is believed to improve male sexual performance, strength and power . The tuberous roots of the plant contain a number of bioactive compounds including a range of sterol compounds and glycosides. The main compound that separates this plant from other plants is butenin, a type of flavonoid. Does Butea Boost Testosterone Levels? There’s a lack of research to draw upon for this herb. That in itself should send warning signals. The studies that have been done are inconclusive and involve mostly animals. There are a small number of rat studies that have assessed the effects of butea on T levels. These seem to use doses ranging from 50 mg per kg right through to 250 mg.
One study, published in 2010, found that regardless of 10, 25 or 250 mg doses, butea superba failed to increase testosterone levels in a group of male Wistar rats . And many others have found similar results. To date there are only two human trials available for evaluation. One of these found that butea doses of 1,000 mg per day over a 3 month period elevated T levels by 11% . The problem is though that there were only 39 men involved in the study – all of which suffered with erectile dysfunction. This is far too low a sample size to draw general conclusions from. Additionally, no other androgen markers were measured so it is hard to work out exactly what benefits occurred. The other human research wasn’t so much of a clinical report, rather a case study . In the case study, a 35 year old healthy Thai male had taken an unreported dose of the supplement for a few weeks to treat hair loss. When examined by a medical professional the man suggested that he’d experienced a increase in sexual drive. His blood report showed a 1.7% increase in testosterone. This is currently the only trial that has reported elevated T levels when taking the herb – and even then the increase in minimal. The supplement did however cause a significant increase in dihydrotestosterone (DHT). This metabolite is a derivative of testosterone and works as an anti-estrogenic. It is however one of the major contributors to male pattern baldness. In one rat study, 200 mg per kg of body weight was found to negatively impact testosterone levels as well as a range of blood parameters . These included white blood cell which are vital for protecting yourself from illness. Butea has been used for hundreds of years in traditional medicine for male health, virility and performance. It is very understudied though and relies heavily on anecdotes and hearsay. The couple of human studies that are available show that it may have potential as an aphrodisiac but is not a potent testosterone booster. Animal studies are contradictory and show both small increases and decreases. With so many other nutrients available that have been shown to elevate T levels in rigorous randomized control trials, we’d suggest that you stay clear of this supplement and spend your money elsewhere. As a high-quality testosterone boosting supplement, TestoFuel is at the top of its game. Complete with only natural nutrients, this anabolic support complex provides everything you need to accelerate your muscle growth, increase your strength and reduce your body fat. Containing ingredients such as vitamin D, oyster extract and D-aspartic acid, this is your opportunity to develop a physique like you’ve never had before.